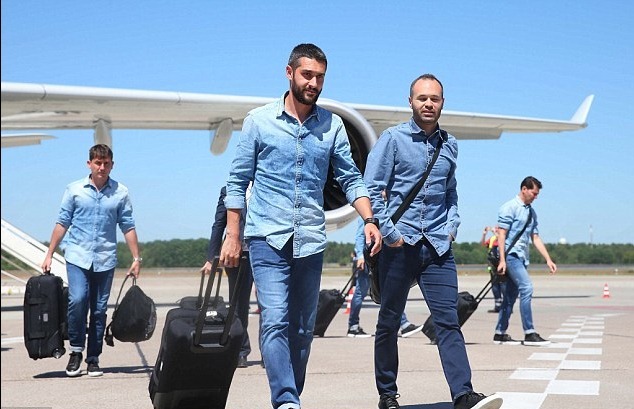 Double denim has been a recurring trend for some years in 80s and 90s . 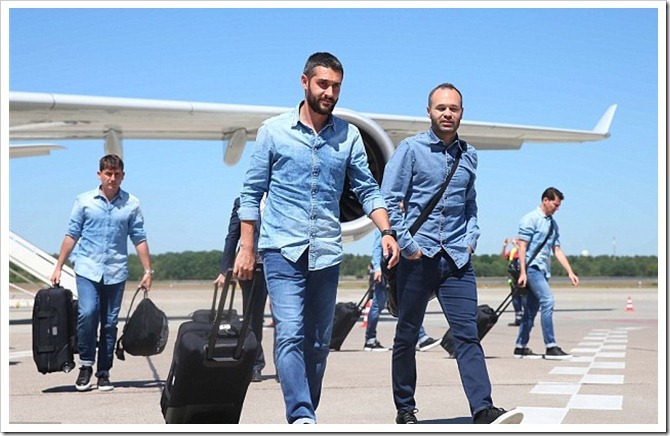 However there have also been many years of intermittent revulsion against this style specially against ugly combinations.However, this style is definitely back with various celebrities. But , what is surprising is that this trend is now permeating the sports arena as well. ‘From its work-wear origins, denim has evolved over the years into the casual followed by premium sector but has never been contemplated as part of a formal outfit, until now. ‘Indigo colour, slim fit and shimmering effect reveal Replay’s peculiar reinterpretation of elegance whilst retaining its denim heritage. 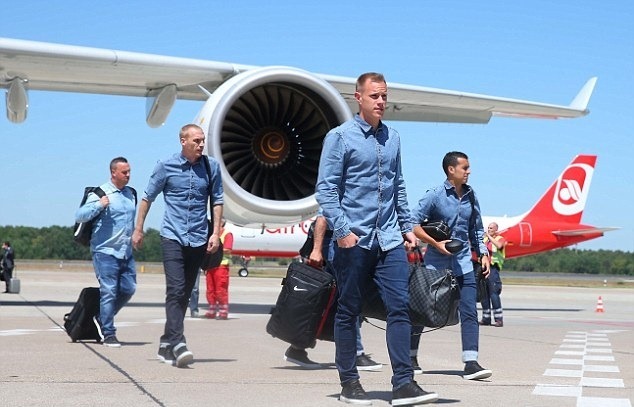 Lionel Messi, Javier Mascherano and Luis Suarez step touch down in Berlin in their new Replay denim uniform and this is good news for the denim industry ! !